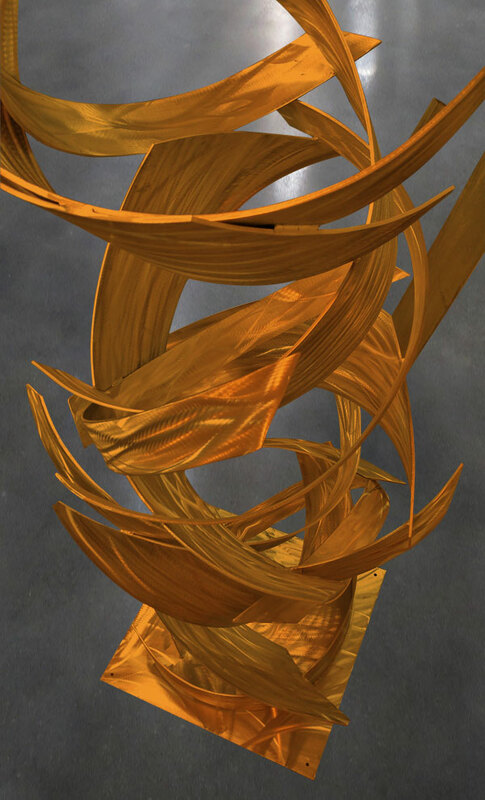 Whirlwind is a custom large metal sculpture created from laser cut pieces of aluminum plate with a rich bronze powder coating applied for ultimate weather resistance. 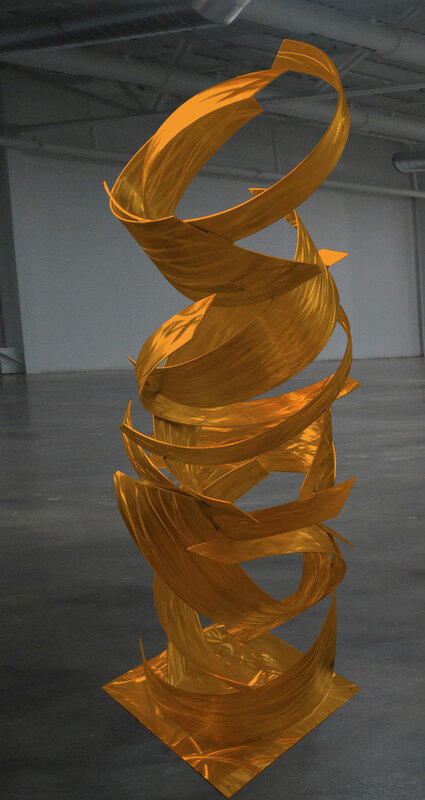 Every piece bent, textured, welded and coated by the artist. 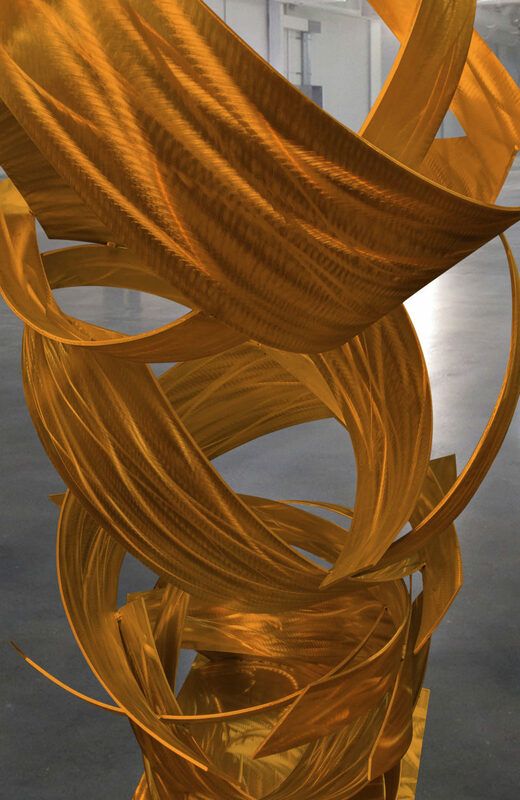 The metal tones and textures are a signature application applied by the renowned US artist Dustin Miller. 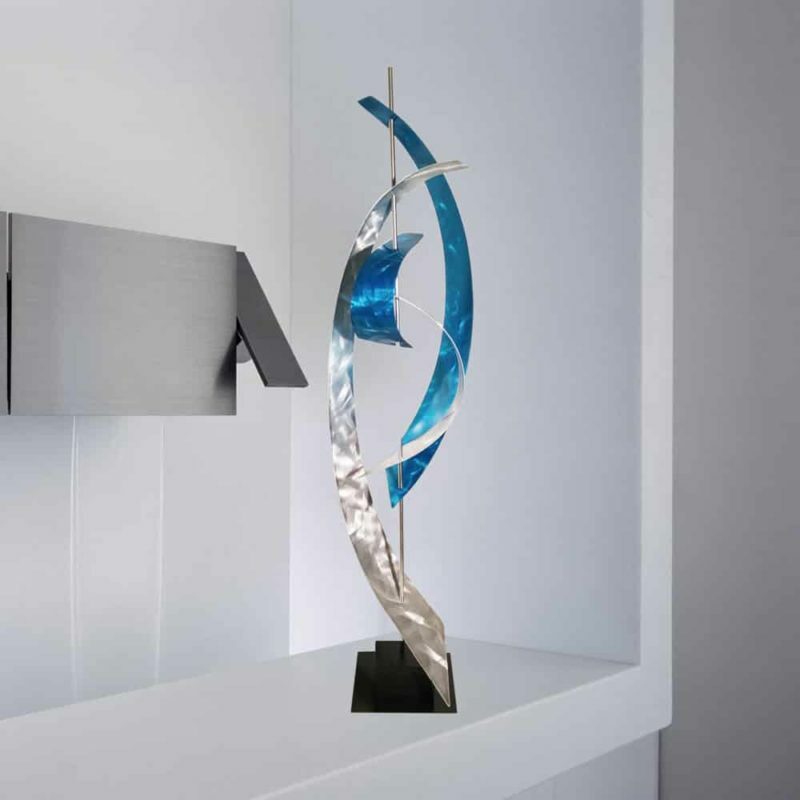 The sculpture changes shape and the dynamic grind patterns shimmer in different lights more than the diamonds in your jewelry. 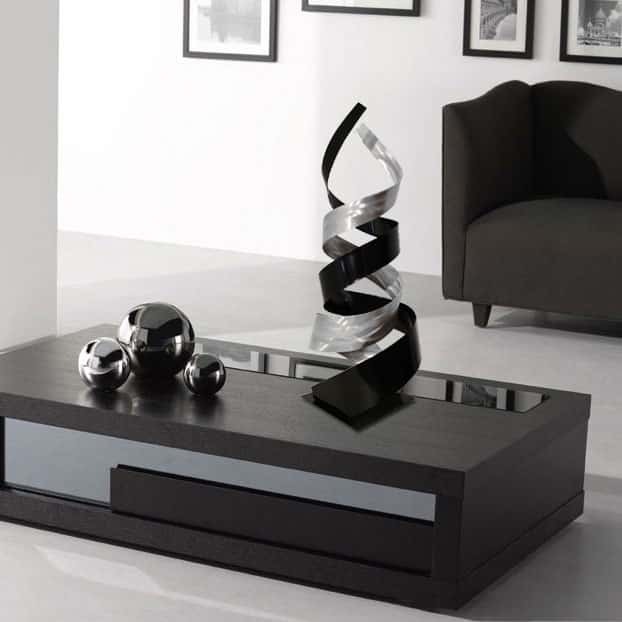 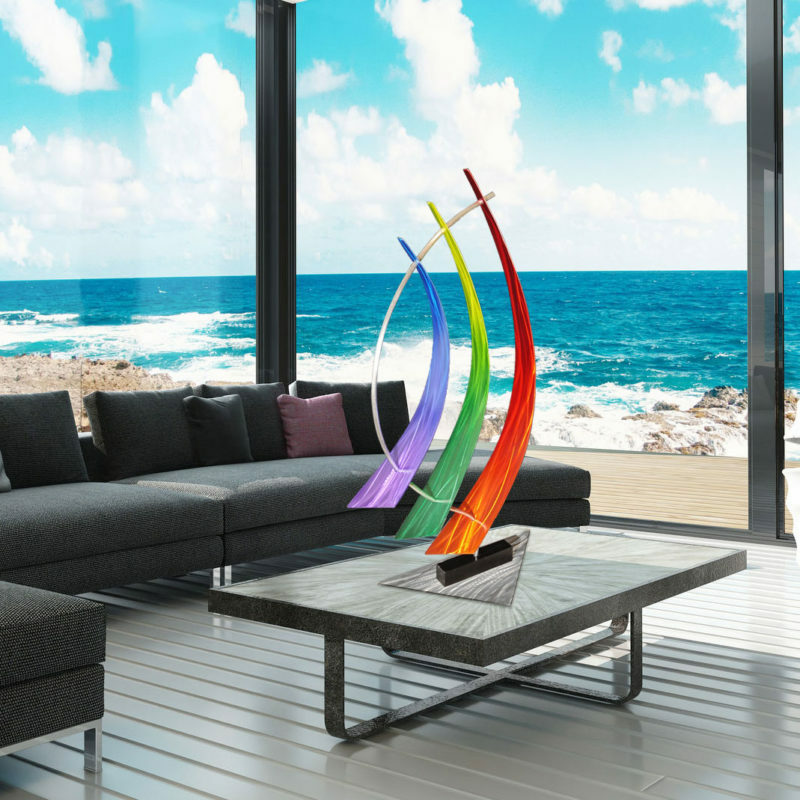 The exclusive deep color of this piece is significant especially in well lit areas. 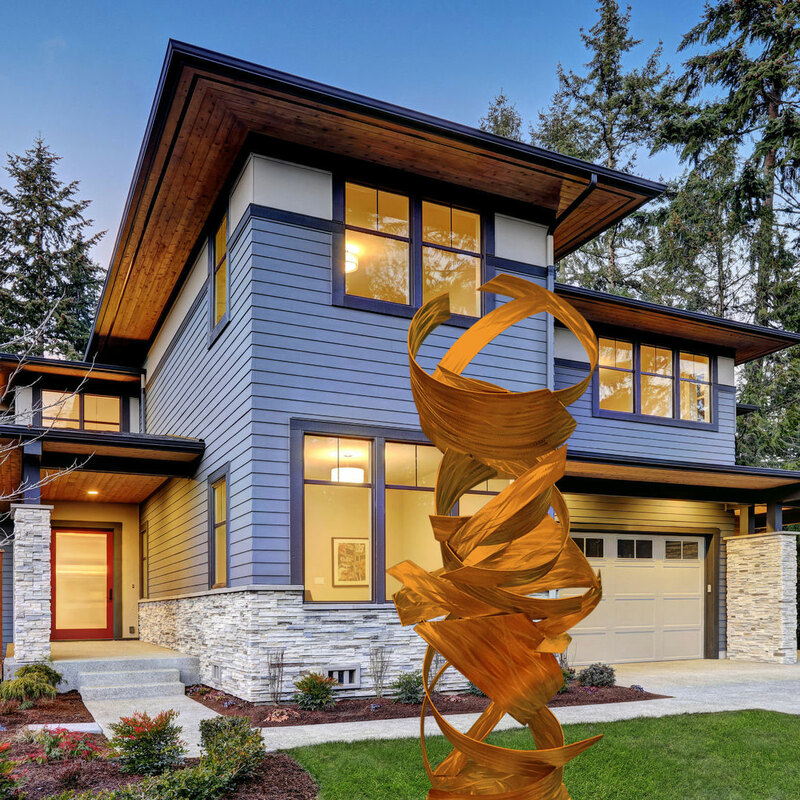 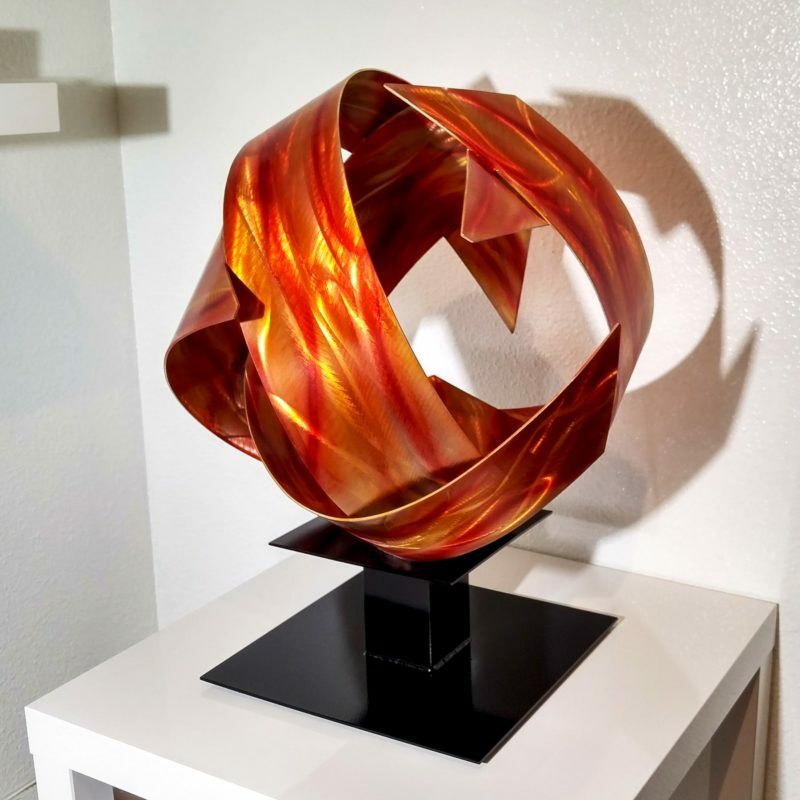 Make a lasting and large statement with a signature sculpture by Dustin Miller.